I am very interested in exploring the subject of creativity in the language classroom. In my poster presentation, I introduce the IDCA Model. IDCA stands for Inspiration, Definition, Creativity and Acquisition. It is a model that I use to bridge the gap between heavily examination-oriented lessons and meaningful, creative language learning in the classroom. 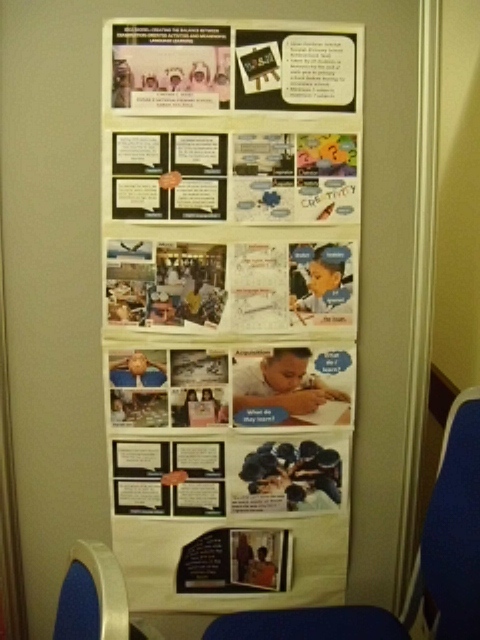 The poster will describe some pilot projects based on the model, conducted in my own classes and in other classes in three different schools. I will describe the impact of the model on teaching, on pupils’ learning and on the motivation of both teachers and learners. I will also share my personal reflections about the project and highlight some suggestions for further research.